Welcome to my first blog post! Are you excited to come on a journey to Australia with me? At least I am. Just in case you didn’t have the time to read my profile, I am originally from Hong Kong and have lived there most of my life. I have made one of my best decisions in life last year by coming to Manchester for University. Hence, the whole travelling alone, going on a long flight, studying abroad, saying goodbye thing is not new to me. One of the main differences this time is that everything is more in a rush. Even though we got our nominations from the Study Abroad Unit in the beginning of semester 2, we still have to apply and wait for the official acceptance and eCOE (you will need this to apply for a visa) from the partner university (in my case Australian National University), then apply for Australia student visa while waiting anxiously for your exam results. Oh, and you will have to apply for accommodations in my case since over 90% of ANU students live in halls and book flight tickets as well. Once I have got my visa and am quite confident that my results will be over 60% (the minimum requirement for going on exchange and study abroad), I have got my bank account and got a Australian SIM card sorted out. All of the above has to be done in a month or two. So if you are thinking of studying abroad, plan earlier and manage your time wisely, never wait till the deadline, the earlier is always the better (for booking flights, the earlier the cheaper as well). Since I am studying in the UK with a student visa as well, I noticed a few differences between the UK and Australia student visa. It might come in handy for viewers who want to study in either the UK or Australia. (Just in case if there are differences, I applied both visa in Hong Kong) For the AUS visa, all application processes can be done online, even the visa itself is an electronic one and is directly linked to your passport in their computer system. I still prepared a hard copy (together with my eCOE and the accommodation acceptance as well) for the custom to check. You will most probably need to do a medical check up in one of the recommended clinic for the AUS visa. As for the UK visa, even though some of the application processes can be done online, you will still have to visit the embassy in person to complete the application and the visa will be stuck on your passport. In most cases, you would not need a medical check up for it. 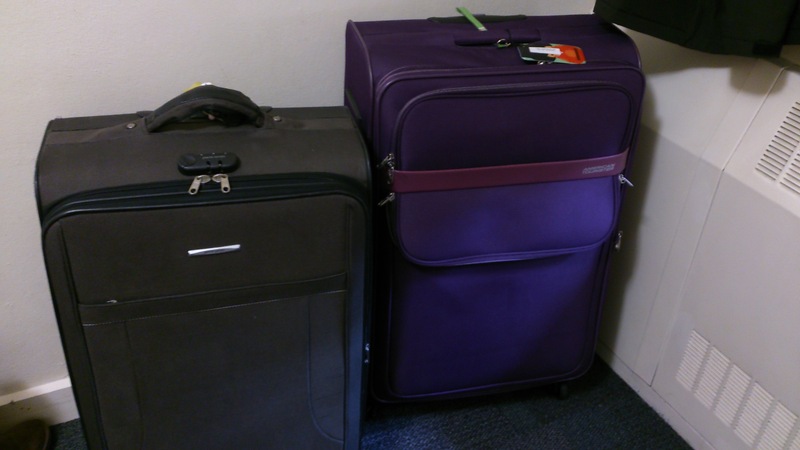 Another advice I got from past students is to pack light, to make the journey easier and prevent getting fines because of overweight luggage. This is what I brought, not the lightest, but within the weight limits of student flight ticket. There are no direct international flights to Canberra, so I will have to get a domestic flight or coach or train or simply drive from Sydney to Canberra. And I have chosen to travel by car. After finishing all the preparation work, I am good and ready to go with some spare time to write up a bucket list of things I wanted to do in Australia. I am already excited just by thinking what I can do there, attending all the interesting courses I have enrolled in, meeting acquaintances, getting to know and experience another culture, travelling around Australia in my spare time and maybe even learn a few new skills like surfing and scuba diving. Together with excitement there are always doubts. When it comes to Australia, Sydney, Melbourne and Queensland always get into the picture, and I don’t really know what Canberra is like. I am also slightly worried that since I will only be there for a semester and the results count to my degree in Manchester, will I adapt to this new environment quick enough to do well academically? However these doubts are soon buried by the overflowing excitements. With all the excitement and a few doubts, I headed off to Canberra, to a semester I am looking forward to. Previous postThe time has finally come!